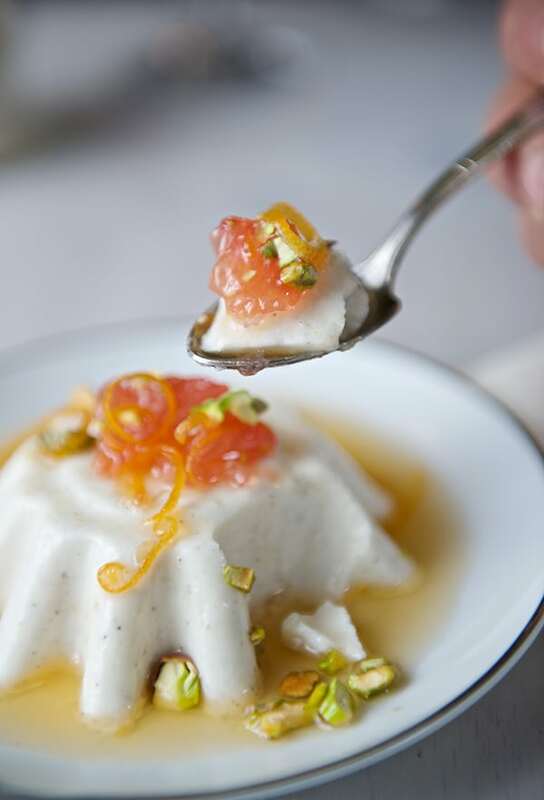 Yogurt Panna Cotta with Pink Grapefruit Cardamom and Pistachios ~ Yes, more Pelase! Citrus Season is here! I’ve been juicing, zesting, squeezing all the magic citrus kingdom; oranges, blood oranges, lemons, limes, mandarins, clementines, and Ooh the pink grapefruits! I love pink grapefruits. My mouth waters just to think of the plump and juicy semi-sweet segments. The aromatic smell and the pink flesh color; I love everything about this juicy citrus. Grapefruit it’s undoubtedly one of my favorite fruits. I wanted to make a very simple citrus dessert using pink grapefruits, based on what I was craving. I imagined it to be a creamy and light, but not overly sweet dessert with fresh citrus, loaded floral ,and fragrant notes. 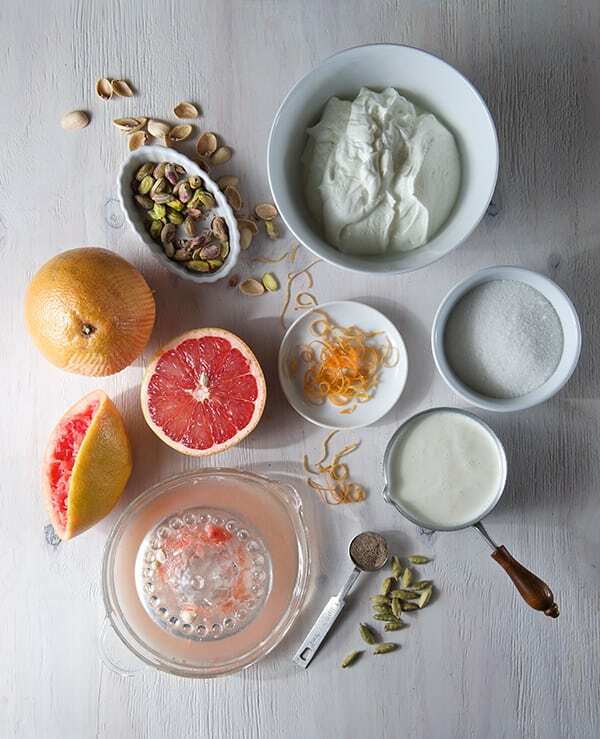 Something very light on the palette…What would that be?… Yogurt Panna Cotta with Pink Grapefruit Cardamom and Pistachios. 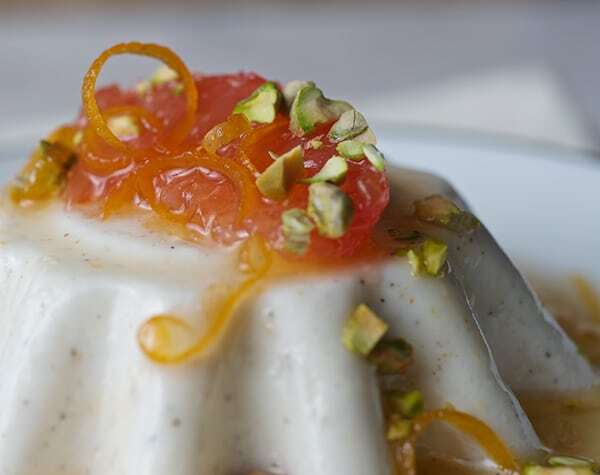 Panna Cotta is an Italian dessert, which means cooked cream. It sounds fancier that what it is, and is way easier to prepare than what you may think so it can make in a flash. In my recipe I added some cardamom in order to bring some floral notes to the creamy mixture. If you are not to crazy about cardamom you can substitute vanilla bean, lavender or thyme. I wanted to showcase the grapefruit segments, juice, and zest, so I made a light syrup to complement the silky creamy yogurt. For crunch and texture I sprinkled some roasted salted pistachios on top as a final touch. This Panna Cotta is quite a delicious and dainty dessert. 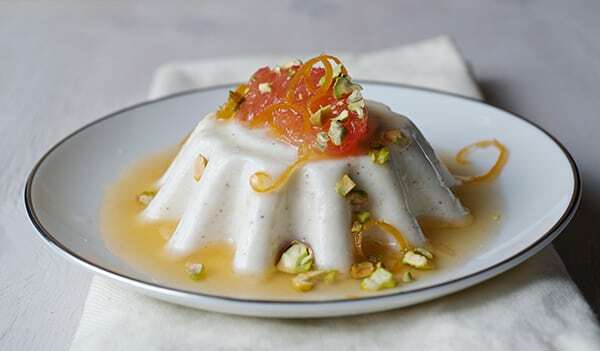 Simple ingredients, about 10-15 minutes of preparation and a few hours in the refrigerator and voilà you have a silky, creamy, aromatic, and light to the palette dessert that will satisfy your citrus cravings. Enjoy! 2-3 medium large PINK grapefruits will yield about 1 cup to 1-1/4 cup grapefruit juice. ¼ cup shelled roasted salted and chopped pistachios. ¼ cup agave nectar or sugar. 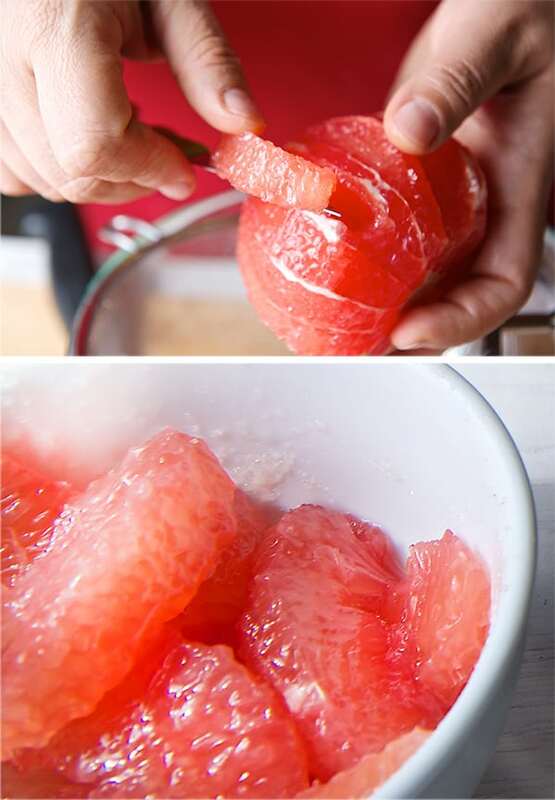 The segments of 1 whole grapefruit. 1. Fine zest one grapefruit Long zest one grapefruit. If you do not have a zester, here is a good one for the fine zest; and for the long thin curls* I recommend this one like in the photo. 2. Juice one or two grapefruits until you have 1-1/4 cup juice. 3. Reserve ½ cup for the Panna Cotta and the rest for the syrup. 4. Cut the top and the bottom of one grapefruit. Following the curve of the fruit remove all the skin, leaving no skin in the flesh. 5. 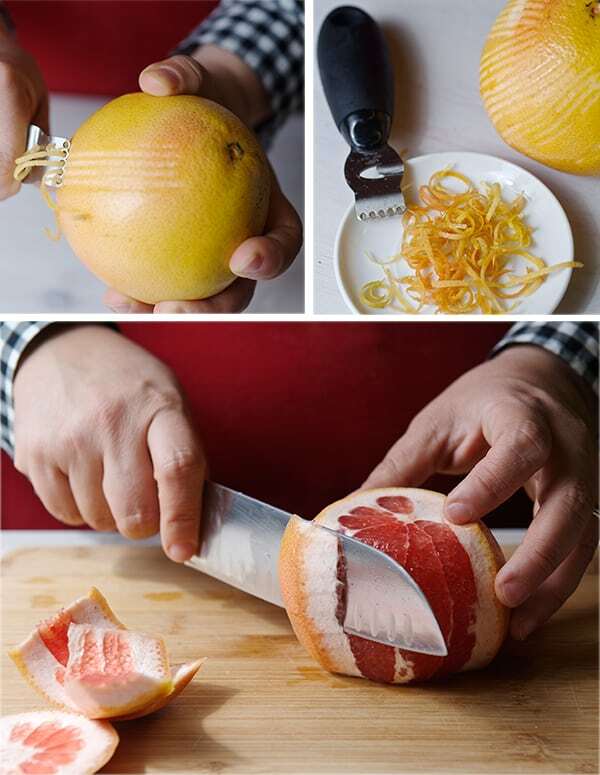 With a pairing knife working over a bowl to catch the juices slice in between the sections and carefully remove the grapefruit segments. Set them aside. Squeeze the remaining membrane to get all the juices out. 1. In a medium sauce pan over medium-low heat, warm the milk, heavy cream, yogurt, sugar, cardamom pods and ground cardamom seeds. Warm up gently until sugar dissolves, and the cardamom seeds release their aroma. About 3-5 minutes. Set a side. Add the fine grapefruit zest to the mixture and stir well. 2. 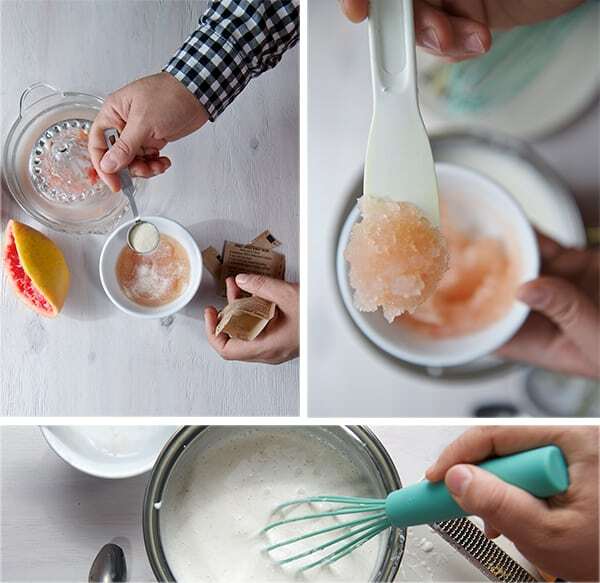 In a little bowl add ½ cup of grapefruit juice and sprinkle the gelatin powder let it bloom. The juice will dissolve all the gelatin granules, absorbing all the juices, it will look like a jelly paste. This paste will be easier to incorporate to the yogurt mixture. 3. With the help of a spoon, remove the cardamom pods from the yogurt mixture, usually they float to the top so its easy to find them. Add the juice-gelatine paste to the yogurt mixture, making sure there are no lumps. 4. 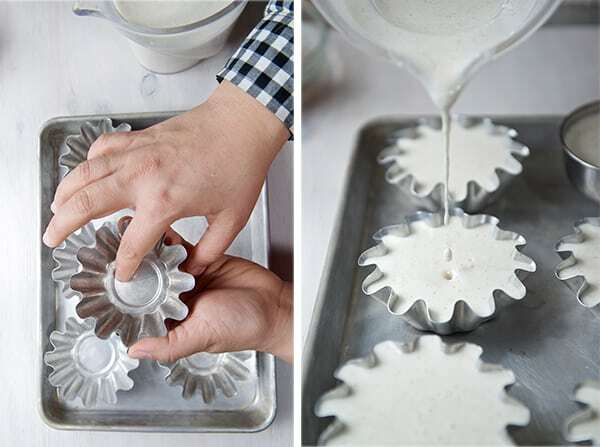 If you are using individual metal molds*, lightly grease them with some vegetable oil before pouring. Pour Panna Cotta mixture all the way to top and refrigerate for at least 2 hours, or until firm but tender and springy to the touch. 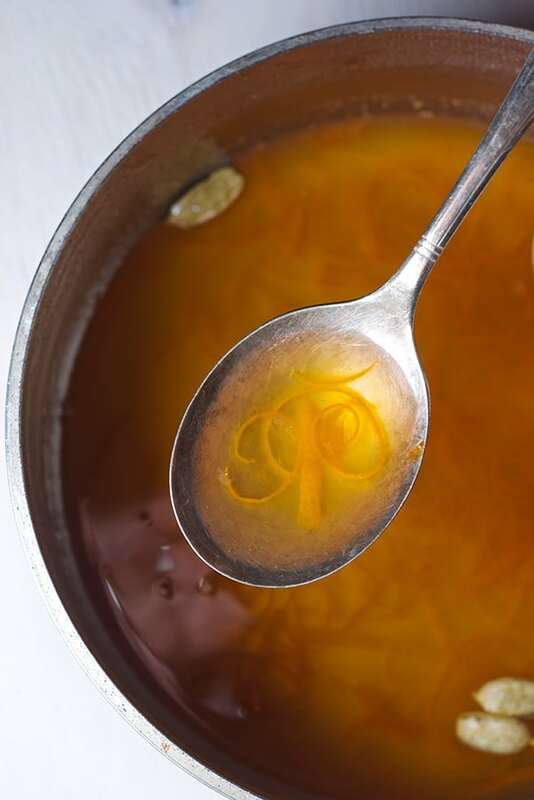 In a medium size pot combine the ¾ cup grapefruit juice, ½ cup water, cardamom pods, grapefruit zest, agave nectar or sugar, whisk until well combined. Bring to a slow simmer and reduce by half. Remove from heat. Set aside. When the syrup is warm to the touch add the grapefruit segments, and refrigerate. Make sure to bring to room temperature your syrup before serving, it taste better this way. To un-mold the panna cotta dip the metal molds in warm water for about 1-2 minutes (be careful about not to get water into the mold). Proceed to un-mold the Panna Cotta into an individual serving plate, then turn the mold upside down and tap the back of the mold with a spoon, this will help release the panna cotta. 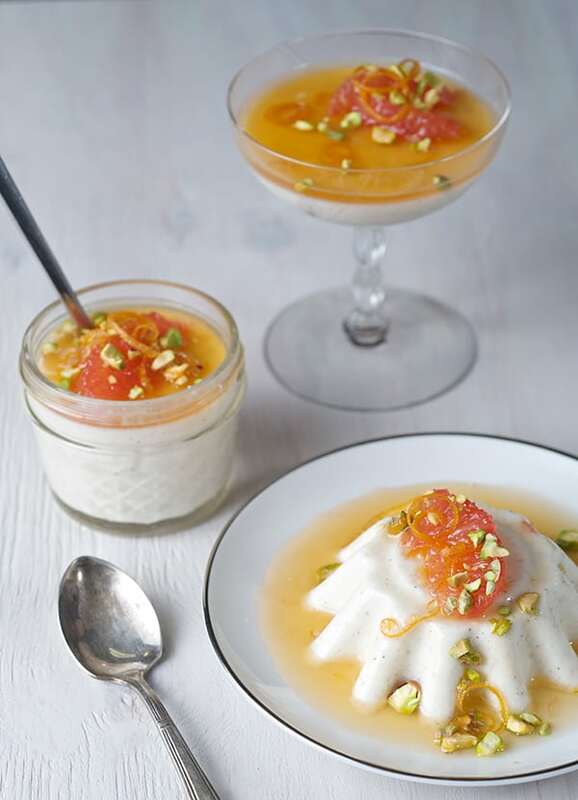 Drizzle the Grapefruit syrup and top it with 1 or 2 grapefruit segments, sprinkle the chopped pistachios. Enjoy.